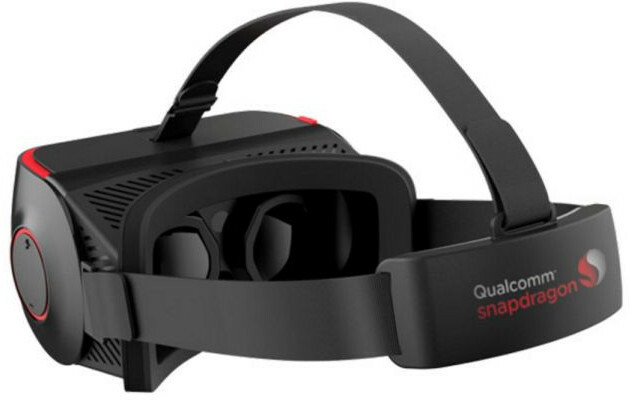 Qualcomm has recently announced two references platforms for ODM/OEM powered by Snapdragon 820 processor for 4K Ultra HD media boxes and all-in-one virtual reality headsets. The reference platform, developed in collaboration with Goertek, leverages Qualcomm’s Virtual Reality SDK, and is expected to be available in Q4 2016 to manufacturers, with retail products likely showing up sometimes in 2017. More details may be available in the press release. We don’t have that many details for the TV box reference platform, but the company still made it clear it is based on Snapdragon 820 processor, and designed for fanless small form factor 4K Ultra HD media boxes with support for Gigabit Ethernet and 802.11ac WiFi and Bluetooth Smart connectivity from Qualcomm. The 4K Ultra HD media box reference platform from Qualcomm Technologies is available now, with commercial devices expected to be available by the end of 2016. A few more details may be found in the press release, which also covers QCA9379 combo chip with support for dual-stream Wi-Fi 802.11ac and Bluetooth 4.2. A snapdragon 820 powered tv box would be a dream. No more bad software (rockchip) or cheating/slow SOCs (Amlogic/Allwinner). It would be a worthy nvidia shield competitor or even surpass it. Afaik Qualcomm chips are expensive so question is who will manufacture it and what price will be. Would be good if they could apply their knowledge to a budge TV box Soc range to compete with cheating S905 to S912 ! And where are rockchip RK3399 devices? About hundred bucks is the most I’m willing to pay for most of the devices on the market (rockchip, allwinner, etc.) But as others have pointed out they have their flaws, be they performance out software out both. If a Qualcomm box cans with stable firmware (And we all know the 820 has performance that can hold its own) I’d easily be willing to pay more for an otherwise comparable box. If Beelink can have the BT7 for two hundred bucks with Windows, 4 GB of ram and 64 of storage, they should be able to make something but with snapdragon 820 and android (cheaper since it’s free) for the same price or less. And if be good with that since I’d even have better media performance and I generally have no need for Windows. Just, if it happens, make it nougat do that it has split window multitasking. This will be great! The forge tv wasnt as bad as many users chalked it up to be and this CPU so long as they can keep cooling in check will def be the 2nd most powerful on the market behind the shield tv. and therein lies the problem…… and as expected, no TV boxes have come to market with an SD820/821 (atleast, not that I am aware of) despite being told that they were expected to come to market in Q4 2016. This is a shame, I’d pay the premium for it, the chipset is far better than everything else in the Tablet market place (is it just me, or are there no decent Android tablets recently?) and the only chip with similar processing power in the TV Box market is the NVidia Tegra X1 (which is great, I wish more kit used this too! ).